Upright Fence, Inc. offers quality commercial and residential fencing in vinyl, metal, and wood, parking lot enclosures, guard rails, bumper posts, factory security cribs, dog kennels, ornamental fencing, baseball backstops, and tennis courts. In business serving southeast Michigan communities for 41 years. Upright Fence has over 50 styles of fencing displayed in our front yard and a friendly and attentive staff available to help you. We offer privacy fences, ornamental fences, driveway and garden gates, vinyl decking, arbors, mailboxes and signs. In addition, we can make fence repairs to all types of fences. And best of all we can custom build a fence for your specific need. If you like, you can set the posts and we can build the panels to fit. If you prefer to do it all yourself, no problem! We have a huge selection of in-stock products. If you want all the work done for you...no problem! We can install it all for you too! Conveniently located on Ford Rd. one mile east of I-275 in Westland Michigan. We can ship our products anywhere! Next time you are in town, stop on by and see us! We offer installation throughout southeast Michigan including but not limited to the communities of Livonia, Westland, Ann Arbor, Ypsilanti, Detroit, Dearborn, Canton, Brighton, Bloomfield Hills, Farmington, Sterling Heights, Novi, Northville, Warren and Southfield. 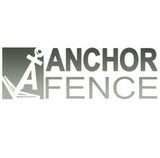 Anchor Fence is Southeast Michigan's #1 fence company and has been for more than a century. We have been in business for over 100 years! Established in 1892 and leading the Michigan fence industry ever since, Anchor Fence has become the people's choice when it comes to professional fence installation and supplies. Anchor Fence is family owned, operated, fully licensed, bonded and insured. Our expert craftsmen have many years of experience and are amongst the most knowledgeable professionals in the fence industry today! There is no job too big or too small that our professionals cannot handle. Fences, gates, playhouses, and plants. A deck, hammock garden, fruit trees, or shade sail. Your yard or outdoor space should be as functional as the rest of your home. If you can't get comfortable in your own back yard, give me a call. 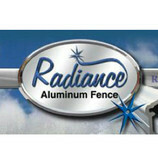 Radiance Aluminum Fence is a privately owned,family run business. Our vast years of manufacturing experience in the aluminum fencing industry gave us the knowledge to develop a revolutionary horizontal rail which combines the thickest walls, most structural bends and reinforced internal ribbing. This revolutionary rail maintains a .090 wall thickness throughout the entire rail, unlike other manufacturers who use a different thickness on top and on the sides. By using our revolutionary rail on all of our fences we are able to provide the strongest, most decorative maintenance free aluminum fence available. Testing performed by an independent engineering facility confirmed our revolutionary rail surpasses the competition. We have been in business since 1989 and we specialize in Vinyl Fence Installations. We manufacture vinyl fence products and can customize your job to your specifications. We care about customer care and quality. Our company is family owned and operated. Kimberly Fence & Supply Inc.
Open your imagination to the endless possibilities with Kimberly Fence. Since 1974, we have specialized in bringing security and beauty to homes and businesses throughout Michigan. From elaborate gate entry systems to adding a beautiful vinyl, wood, aluminum or maintenance-free ornamental steel fence around your pool, you can trust Kimberly Fence to only use the finest materials, installed only by skilled craftsmen. Kimberly Fence has built a reputation for providing complete satisfaction - guaranteed. That is one reason you'll find our company is referred more by Pool and Landscape professionals. If you would like, we can even refer you to one of our many satisfied customers. Brady's Fence Company is a family run business that guarantees top notch service and quality products from start to finish. We are located in South Rockwood Michigan and we are one of the leading downriver fence companies servicing southeast Michigan communities since 2004. We provide quality fences and services for residential and commercial customers in both Wayne and Oakland counties. Brady’s’ Fence Company is proud to be the only company in eastern Michigan who provides a 5 year labor warranty. We do not subcontract our work, all our crews are employees of Brady Fence Company. The crew will show up on time, finish the job in a timely manner and clean up after ourselves. Brady’s Fence Company takes pride in the quality of work we provide. The owner, Mark, inspects each job to assure productivity and quality during and after the installation meeting the Brady Fence Company guaranties. Mark’s not happy if you’re not happy! In addition, we are financially stable and we are fully insured. We are involved in the communities that we serve and have knowledge of local zoning/building codes for each city that we serve throughout Wayne and Oakland counties. Whether you're installing a fence or gate for attractiveness, security or privacy, our expert fence consultants and installers will impress you from start to finish. Brady's Fence Company looks forward to earning your business. Brady’s Fence Company is proud to say we are members of the Better Business Bureau with an A+ rating! We invite you to contact our office and speak to Joie via email or phone call. She would be happy to arrange an appointment with Mark or Steven to receive a free quote and learn more about Brady's Fence Company and the exceptional products and service that you deserve. Brady’s Fence Company would be happy to find the fence that best fits your needs. Quality fencing solutions in the Detroit, Mich., area for nearly 80 years! Great Lakes Fence Company delivers dependable service and complete customer satisfaction for residential, commercial and industrial properties. cedar fence and gateGreat Lakes Fence Company has been a locally, family owned and operated business for nearly 80 years in the Detroit, Mich., area. Our goals over the years have always been to offer quality fencing solutions, dependable service and complete customer satisfaction. Great Lakes Fence Company has been installing and serving both commercial and residential fence needs since 1937. We specialize in custom fence solutions as well as chain link, cedar, wrought iron, steel, P.V.C. and aluminum picket, guardrail, baseball backstops, dumpster enclosures, single and double swing gates, scissor gates, cantilever gates and overhead track gates. All gates can be equipped with electric operators, card readers, various controls, cameras, and many other security and safety devices. Nicholls Fence has been serving southeastern Michigan for over 30 years. We provide complete fence and railing products and services. We also perform insurance and emergency repairs. Give us a call or stop by and visit our outdoor display. We are a small company who takes pride in each job. We specifically stick to wood fencing and decking. We believe that quality and fair pricing is the key to getting your business. With over 15 years of experience working with wood, we have the know how to make your next fence project look amazing. We serve the tri county area. Snug Cottage Hardware is a North American distributor of exterior hardware and gate fittings that have been utilized in England for well over a century. Recently, we have added a line of stainless steel hardware which we import from Taiwan. As an equine veterinarian, I frequently traveled to the United Kingdom to conduct pre-purchase examinations and attend equine veterinary conferences. I was very impressed with the heavy duty hardware that I saw on horse farms throughout England. It was much more robust than anything I was used to seeing on farms or in stores in North America. I began by purchasing a few pieces of hardware for use on my own property. A few years later my wife Glenna and I arranged with a U.K. manufacturer to distribute their hardware in the United States and Canada. ParamountFence LLC is an award winning fence installation company in Southeast Michigan. We have been named "best fence contractor of 2016" by the city of Royal Oak and one of the best fence companies in Michigan to buy from in 2017 by Expertise. We are BBB accredited with an A+ rating and are the highest rated fence company in metro Detroit Michigan. We offer 100% free estimates, most of which you will receive within 24 hours. THAT is what we call "the Power of Paramount". Your pet is a part of your family. We understand. That’s why Invisible Fence® Brand created solutions to keep your dog or cat out of trouble — and in your good graces. That means less stress for you. And more tummy-rubs for you-know-who. Invisible Fence systems are designed to work together—simply and seamlessly. With the same Computer Collar® Receiver, your pet can have safe yard boundaries, access our secure pet door, and learn better behaviors both indoors and out. 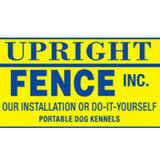 Plus, all Invisible Fence systems include professional installation and expert pet training. So, whether your pet is the outdoorsy type, a couch potato, or somewhere in between, Invisible Fence has solutions to match. 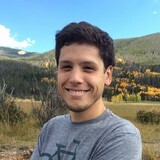 I am a Project Specialist with Lowe's Home Improvement. I sell nine different categories for Lowe's. We are very focused on providing customers with a exterior project, that fits your needs, budget, and at the same time providing great customer service. My goal is to make you feel comfortable in your own home by providing excellent customer service, and the best installers available. Your Redford, MI fence installation and repair professional will work with you to create your ideal fence. Fence installation or replacement. If you are in the market for a brand new fence, a contractor’s services will include walking you through various fence styles and materials, determining a suitable height, ensuring that all fence designs and plans are compliant with Michigan building codes, and that the fencing meets both your stylistic and security needs as the homeowner. Fences and gates must complement the grade of your property as well as the type of soil you have, so the contractor should always plan around these considerations. Additionally, if you don’t know exactly where your property lines are, he or she can commission a survey for you. Find a fence contractor in Redford, MI on Houzz. 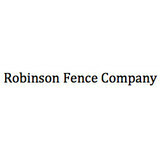 Narrow your search in the Professionals section of the website to Redford, MI fence contractors. You can also look through Redford, MI photos to find examples of fencing and gates that you like, then contact the professional who worked on them.